The term “cell” as it relates to energy is associated with batteries, but a fuel cell is more like an internal combustion engine. That’s because while a battery stores energy, highly-efficient hydrogen fuel cells generate power using a reverse-electrolysis chemical reaction. And, they are environmentally friendly—producing only electricity, water and heat. 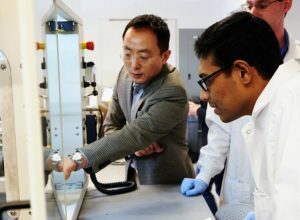 Associate Professor Jeongmin Ahn’s Combustion and Energy Research Laboratory at the Syracuse Center of Excellence advances combustion, fuel cells, new material applications and power generation. So how come they aren’t currently used everywhere? After all, fuel cells have been used in NASA space missions since the 1960s. Indeed, the technology has improved by leaps and bounds since then. Unfortunately, like with renewables, the world still isn’t completely ready. However, Associate Professor Jeongmin Ahn in the College of Engineering and Computer Science says that the landscape is changing rapidly and fuel cells may soon emerge as a viable alternative in many applications. Those who prioritize other energy solutions over fuel cells have traditionally pointed to a few key problems: hydrogen production is expensive, hydrogen is difficult to store—especially on a vehicle, and there is little existing infrastructure. According to Ahn, these common objections don’t hold up the way they once did. Challenge #1: Fuel cells and hydrogen are too expensive. It has been historically costly to produce hydrogen, but an increase in U.S. natural gas production (a significant source of hydrogen) has made it less expensive than ever before. Additionally, hydrogen can be produced by breaking down water through electrolysis. Most importantly, it has reached a point at which it costs less than gasoline production. Researchers also have uncovered ways to use less expensive materials in manufacturing fuel cells. At least when it comes to cost, hydrogen fuel cells can finally compete. 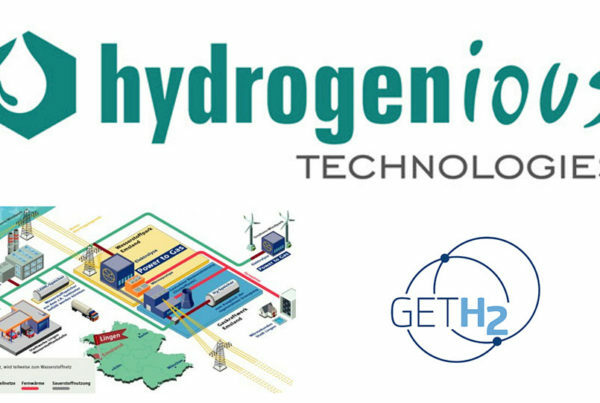 Challenge #2: It is difficult to store hydrogen. The storage of hydrogen is challenging because it is a gas. Containing it could take up a lot of space and require thick, heavy tanks. This is especially a concern for hydrogen-powered vehicles. Fortunately, this particular challenge seems to have been almost entirely overcome. 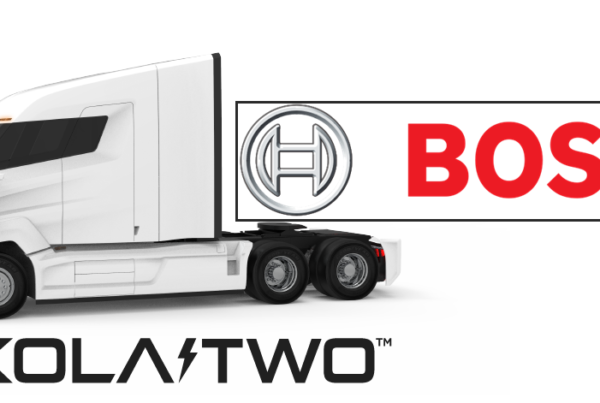 Many car companies have successfully created a system for commercial vehicles that transport hydrogen as ammonia—converting it back to hydrogen gas to power the chemical reaction. Toyota has employed this technology in their fuel-cell-powered Mirai, which is currently on the road in the U.S., Japan and Europe, numbering more than 6,000. Challenge #3: The world is built for fossil fuels, not hydrogen. If you drive a gasoline-powered car like most people, you likely never give much thought to running out of fuel. When your gauge shows your tank is low, there’s a gas station on every corner. If you drive a hydrogen-powered car, you need to be intently aware of the nearest hydrogen station. It is true that we don’t have a robust hydrogen infrastructure, but in most developed countries we do have natural gas and water infrastructure. 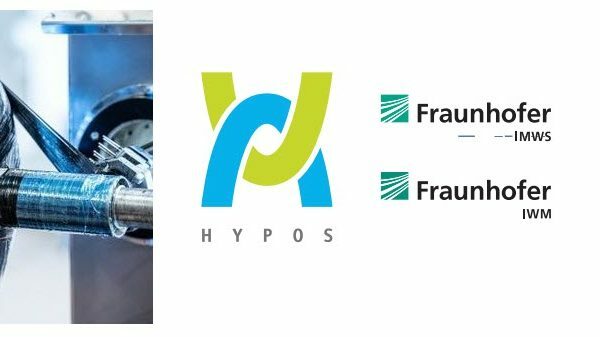 Both could be tapped as a source to generate hydrogen for a cost that is comparable or less than the generation of gasoline. You wouldn’t need tractor-trailers to deliver it, it could be generated onsite. The implementation of fuel cells is much more realistic than ever. Not only that, in many places they have become a reality. In addition to Toyota’s success with the Mirai, Honda and Hyundai are poised to compete in the hydrogen fuel cell automotive industry. Companies like Google, Verizon and AT&T use stationary Bloom Energy fuel cell technology to power their facilities. And, the world’s first fuel cell train is operating in Germany as of this past September. Innovators are also finding ways to combine fuel cell technology with renewable energy sources to move both solutions forward. These are just some of the many places practical fuel cell technology is emerging. The industry isn’t the only area in which people have become turned on to the idea. This past August, the U.S. Department of Energy broke from tradition and funded $38 million in new projects that support hydrogen and fuel cell technologies—a far cry from their stance just a few years ago. They estimate that as many as 40,000 hydrogen fuel cell vehicles will be on American roadways by the year 2023.